Free Shipping to Ireland & The UK! Unit D6, Riverview Business Park, New Nangor Road, Dublin 12, Ireland. Free Delivery – Bring on the Happy Dance! 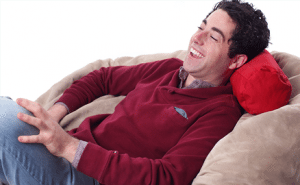 Buddabag Gaming Chair – Game in Absolute Comfort!